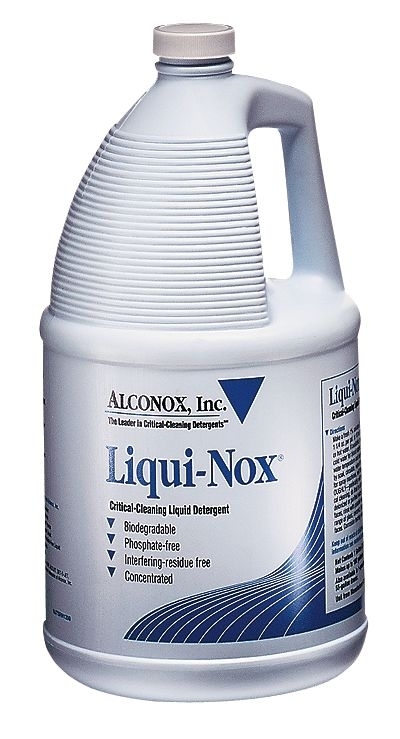 Original general-purpose, phosphate-free liquid for manual, soak and ultra-sonic cleaning of glass, metal and plastic. No interfering residues. Has inhibitory residue test.